It’s one surprising glitch some, if not many, people wouldn’t mind witnessing up close and personal. An ATM machine near Houston was spitting out $100 bills to people who were withdrawing cash instead of $20s for two hours straight from late night of Sunday into Monday early morning. The machine is located near F.M. 1960 and Interstate 45. The spectacle spilled over to social media as well with people gleefully reporting about the surprising but, at least for some, welcome glitch. Apparently, some people wanted to take advantage of the machine’s “generosity” that a line of cars quickly formed, with owners eager to exploit the glitch to their advantage. The erring machine spitting more cash than requested even became a source of arguments and fights among customers. Deputies with the Harris County Sheriff’s Office and Texas DPS had to respond to the scene to break up the fights that ensued. After the glitch reached the attention of the bank, the machine was temporarily shut down. It is not clear at this point how much money was withdrawn by customers, and if those people who got more cash than they should have committed any crime. 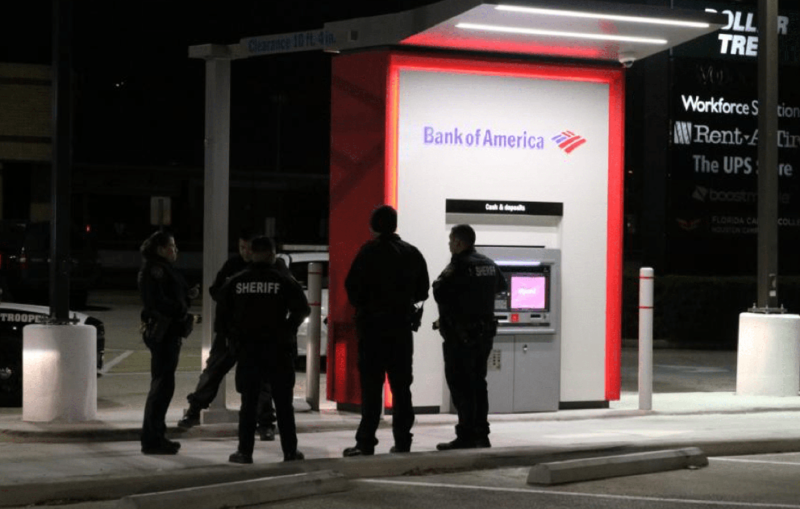 The Bank of America has issued a statement saying the glitch was caused when a vendor incorrectly loaded $100 in place of $10 bills. They also said they have resolved the matter. As it is not the fault of the succeeding customers, the bank has some good news for those who were able to withdraw from the generous machine: they can keep the additional money dispensed by the erring machine, for free of course. Dear Bank of America, rewarding bad behavior has created a sense of entitlement in our Country. There is nothing Free in life... There is always a nasty Hook. I must have missed the fight despite watching til the end.